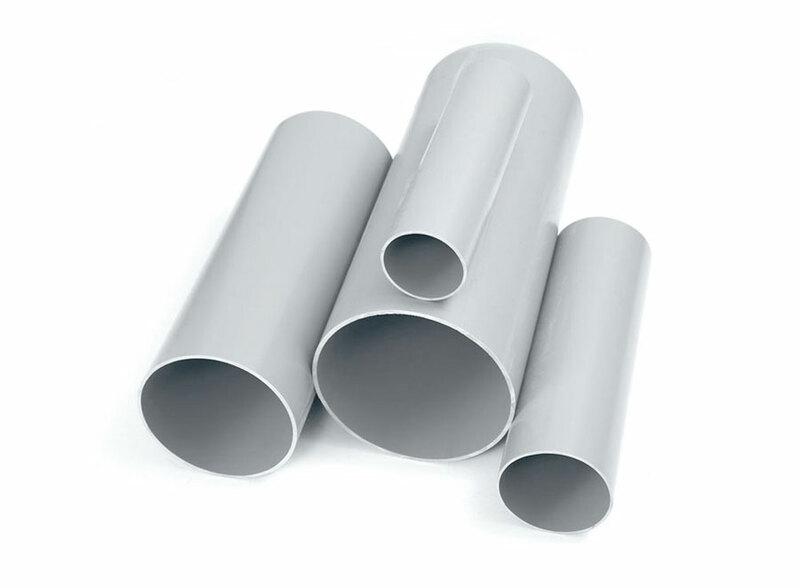 PVC-U (Un-plasticized Polyvinyl Chloride) pipes for above the ground applications are approved by British Standards Institute and are awarded with the Kitemark quality certificate as applicable. 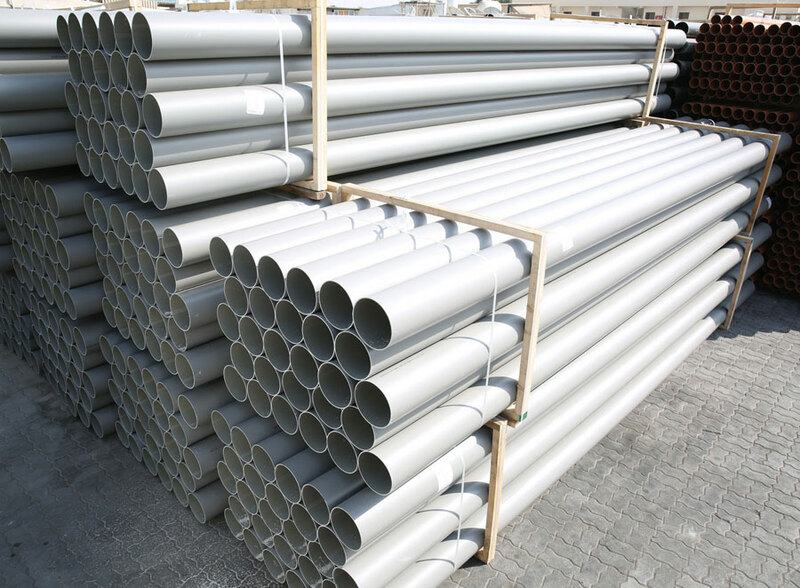 These drainage pipes are manufactured according to European Standards BSEN 1329and are adhere to strict Quality Policies. They are supervised by BSI, which ensuresPolyfab System is approved and accepted by some of the most prestigious International Institutes. Type: Rubber Ring (Except 56 & 82MM), Solvent Welded & Plain Ended. Usage – Above the Ground Drainage Systems. 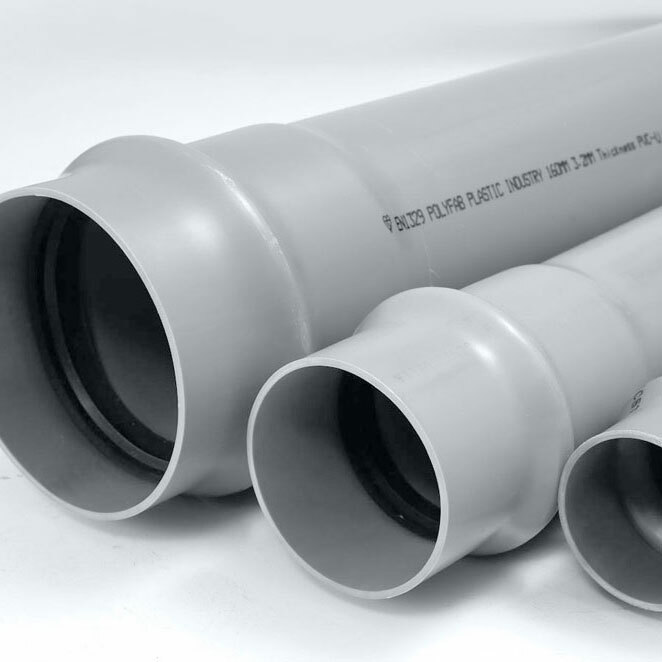 Plastic piping systems are used for soil & waste discharge within the building structure. Adhere to International Standards BSEN 1455. Usage –Above the Ground Waste water application. Type: Solvent Welded & Plain Ended. Available in 4 Meter lengths. Adhere to International Standards BSEN 1329. 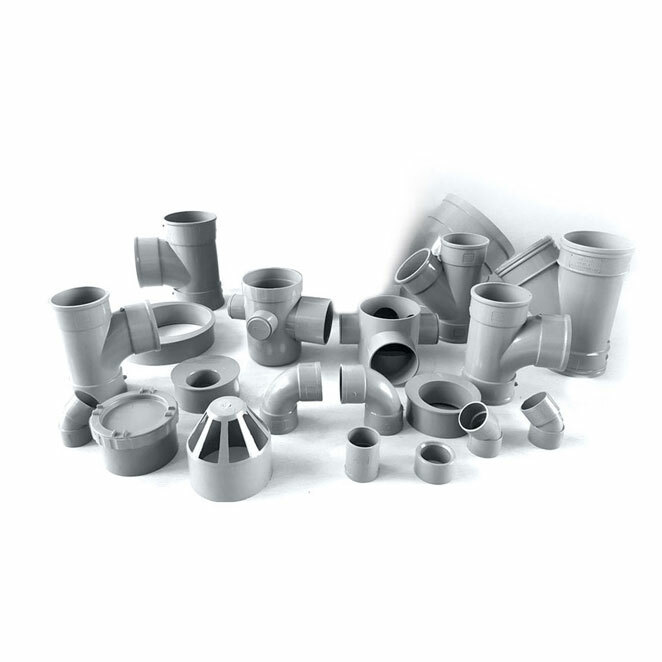 Usage – These fitting are mainly used for Above Ground Drainage Systems. Size Range: 36 to 200 MM. 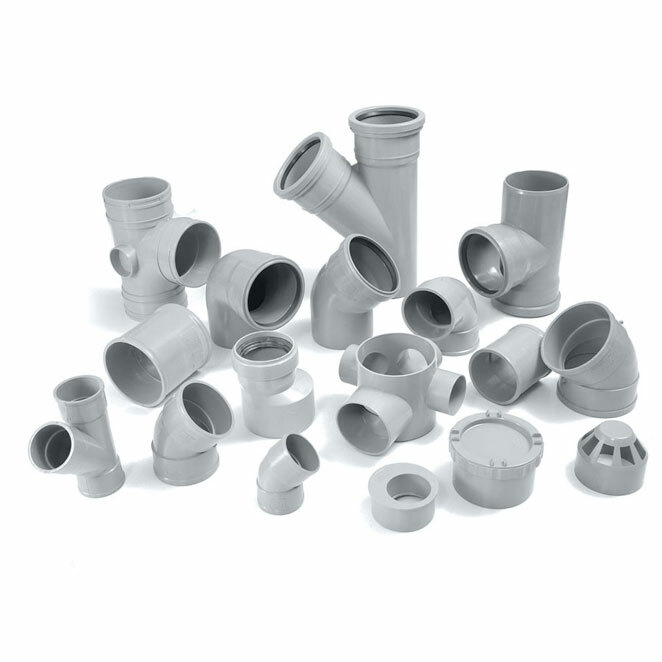 Available in Elbows, TEEs, Coupler-Branch, Reducers, End Caps, Reducer TEE, Reducer Y-Branch, Access Plug, Vent Cowl, Floor Trap etc.